On July 13, 2017, the journal Lancet Neurology published the results of a gene therapy trial conducted in four children with Sanfilippo type B syndrome (also known as MPS IIIB). This trial is the achievement of a two-decade partnership with financial support of AFM-Téléthon and the cooperation of the charity “Vaincre les Maladies Lysosomales” (VML). After monitoring of the treated children for 30 months, Dr. Jean-Michel Heard, from the Institut Pasteur and Inserm, and Professors Marc Tardieu and Michel Zérah, from the Paris public hospital administration (AP-HP) and the Paris-Sud and Paris Descartes Universities, conclude that the treatment was well tolerated and associated with neurocognitive benefits for the patients. Sanfilippo syndrome is a rare genetic disease which affects approximately one in every 100,000 children. It alters brain development after birth and leads to brain degeneration several years later. The first symptoms of the disease are hyperactivity and delayed cognitive acquisition, which are usually noticed when children are around two-years old. A genetic anomaly prevents the production of an enzyme needed to breaking down mucopolysaccharides. Mucopolysaccharides are large macromolecules that help the neurons develop effective connections in young children during learning. 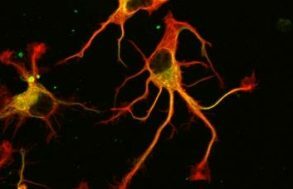 Incomplete degradation and accumulation are toxic for brain cells. The disease progressively leads to a state of severe and multiple impairments and to premature death within periods of 5 to 10 years. The challenge to treat Sanfilippo syndrome lies in the design of a method to supply the missing enzyme to the brain as early as possible after birth. The therapeutic trial conducted by the Institut Pasteur at the Bicêtre Hospital (AP-HP) used gene therapy for that purpose. 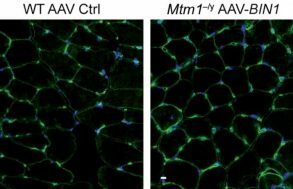 A gene therapy vector (AAV2/5) capable of inducing the production of the missing enzyme by brain cells was injected at several sites in the brain and cerebellum of affected children. The specific aim of this phase I/II trial was the assessment of tolerance to the surgical procedure and to the candidate drug delivered by gene therapy. The clinical study initiated in 2013 was preceded by more than ten years of preclinical studies in animals naturally affected by the disease. The researchers administered the treatment for the first time to four children aged between 1.5 and 4 years (20, 26, 30, and 53 months). No particular clinical, radiological or biological side effects associated with the treatment were observed within 30 months of administration, indicating that it was well tolerated. Within one month of treatment and throughout the 30 months of the trial, researchers detected the previously missing enzyme in the cerebrospinal fluid of the four treated children. 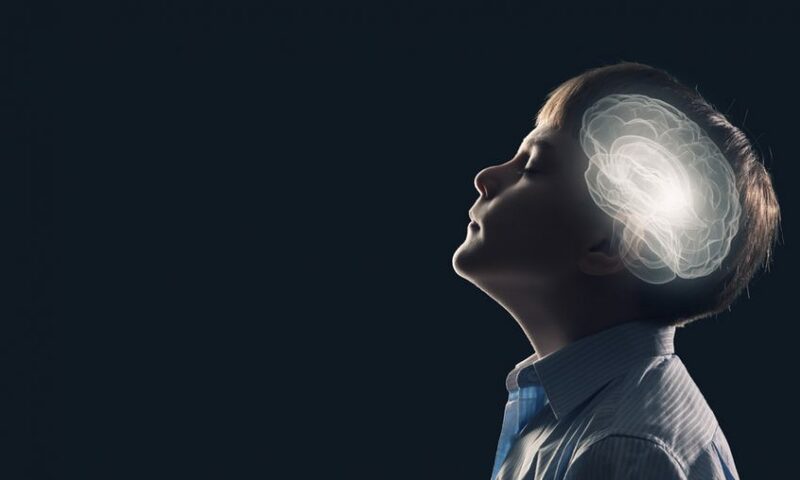 Moreover, very careful and regular neurocognitive monitoring revealed positive impact on cognitive acquisition and behavioral development, which were more pronounced in the youngest treated child. The encouraging findings of this phase I/II clinical trial suggest that treatment could be proposed to patients with Sanfilippo syndrome in the future. To reach that goal, the next step would consist in a large and multicentric phase III clinical trial, if an appropriate partner is found. Marc Tardieu1, Michel Zérah2, Marie-Lise Gougeon3, Jérome Ausseil4, Stéphanie de Bournonville1, Béatrice Husson5, Dimitrios Zafeiriou6, GianCarlo Parenti7, Philippe Bourget8, Béatrice Poirier3, Valérie Furlan9, Cécile Artaud10, Thomas Baugnon11, Thomas Roujeau12, Ronald G. Crystal13, Christian Meyer14, Kumaran Deiva1, Jean-Michel Heard15. Affiliations : 1. Université Paris Sud and Assistance Publique-Hôpitaux de Paris, Hôpitaux universitaires Paris Sud. Pediatric neurology department, Le Kremlin-Bicêtre, France ; 2. Université Paris Descartes and Assistance Publique-Hôpitaux de Paris, Hôpital universitaire Necker. Pediatric neurosurgery department, Paris, France ; 3. Institut Pasteur, Antiviral immunity, Biotherapy and Vaccine unit, Infection and epidemiology department, Paris, France ; 4. Université de Picardie-Jules Verne, Hôpitaux universitaires d’Amiens, Laboratoire de Biochimie and INSERM U1088, Amiens, France ; 5. Assistance Publique-Hôpitaux de Paris, Hôpitaux universitaires Paris Sud. Pediatric radiology department, Le Kremlin-Bicêtre, France ; 6. Aristotle University, department of pediatrics, Thessaloniki, Greece ; 7. Frederico II University, Department of translational medical sciences, Naples, Italy; 8. Université Paris Descartes and Assistance Publique-Hôpitaux de Paris, Hôpital universitaire Necker, Clinical pharmacy department, Paris, France ; 9. Assistance Publique-Hôpitaux de Paris, Hôpitaux universitaires Paris Sud, Pharmacology-Toxicology department, Le Kremlin-Bicêtre, France ; 10. Institut Pasteur, Center for translational science. Clinical core, Paris, France ; 11. Assistance Publique-Hôpitaux de Paris, Hôpital Universitaire Necker, anaesthesiology department, Paris, France ; 12. Hôpitaux de Montpellier, Neuroscience department, Montpellier, France ; 13. Weill Cornell Medical College, Department of genetic medicine, New York, USA ; 14. UniQure, Amsterdam, The Netherlands ; 15. Biotherapy and Neurodegenerative Diseases Unit, INSERM U1115, Institut Pasteur, Paris, France.